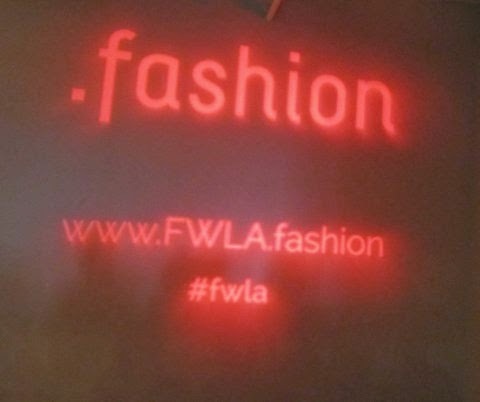 For the Fall/Winter 2015 presentations The Los Angeles Fashion Council and Fashion Week LA joined forces to host two days of runway shows at The Reef located inside Maker City LA featuring Rose la Grua (That’s Totally Fine), Stella Proseyn, Mila Hermanovski, Rochelle Carino, Vilorija, Michael Ngo, William Bradley, and installations by Sauri, Linden CA, and Braulia Avina. In the accessory showroom attendees had an opportunity to get an up close and personal view of the collections before they went down the runway. They also had the opportunity to checkout headwear with a vintage twist by Bijou Van Ness (created by milliner Rehn Dudukgian). Handbags, headbands, and hair ties by Leigh Ann Barnes. Leigh Ann’s company VIP Bands works with domestic violence shelters to train and empower women to create the headband/hair ties for her VIP Bands. She currently uses the excess leather from her Welcome Companions handbag line to produce the product for VIP Bands. California Donuts hosted a “Coffee and Donut Social Hour,” and the bar was compliments of Minds+Machines, Dry Soda, and Pabst Blue Ribbon. Glam Squad (an on-demand beauty service) was graciously offered hair and make-up touch ups to guests. Gleam by Melanie Mills, Studio DNA Salons, and Sole Society provided make-up, hair, and shoes for the models. Minds+Machine are the creative force behind .fashion – a hot, new alternative to .com that provides the fashion community with an opportunity to have their own unique .fashion web address. The new .fashion domain will launch on April 15, 2015. On day one emerging designer Kyle Awtry showcased his signature skate/street aesthetic under the Sauri moniker in the Atelier Room. Sauri’s FW15 collection centered upon simple denim and chambray and emitted a very west coast laid-back vibe. Thank you so much for the nice compliment. I try to make sure everyone gets the exposure they deserve.